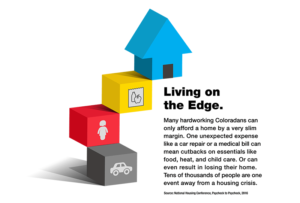 Housing Colorado, in partnership with the National Housing Conference, commissioned a special supplemental report to the NHC’s annual Paycheck to Paycheck study. 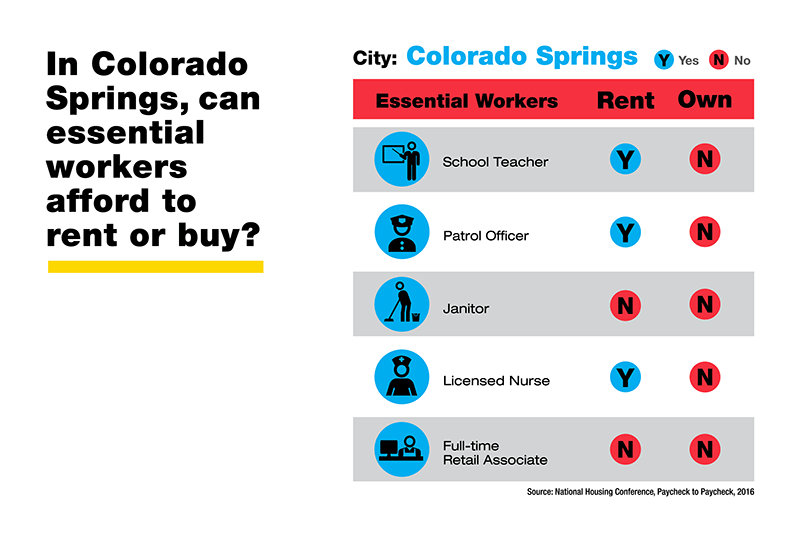 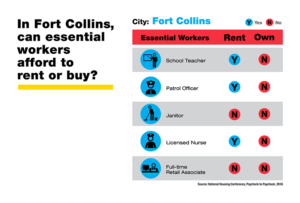 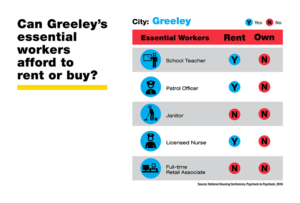 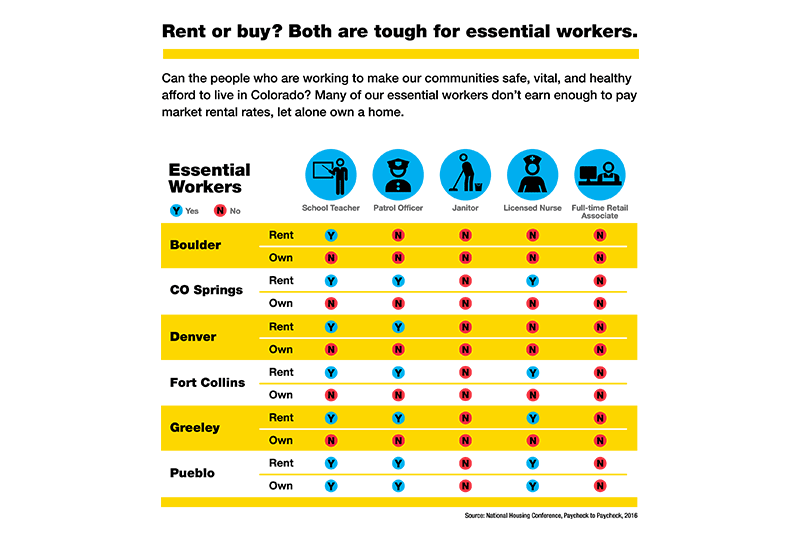 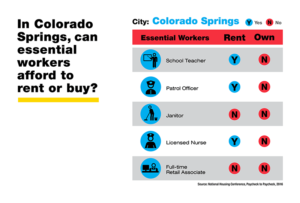 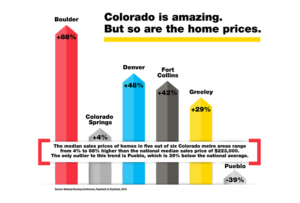 Expanding on our successful Live Affordably Colorado campaign, this supplement includes new infographics that not only tell a compelling story, but also increase the visibility of the Live Affordably campaign. 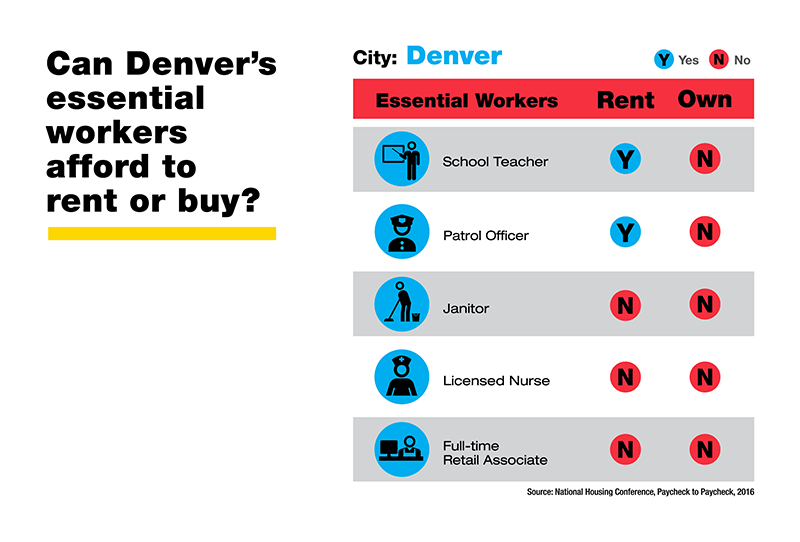 This report highlights 5 essential professions in 6 Colorado metro areas. 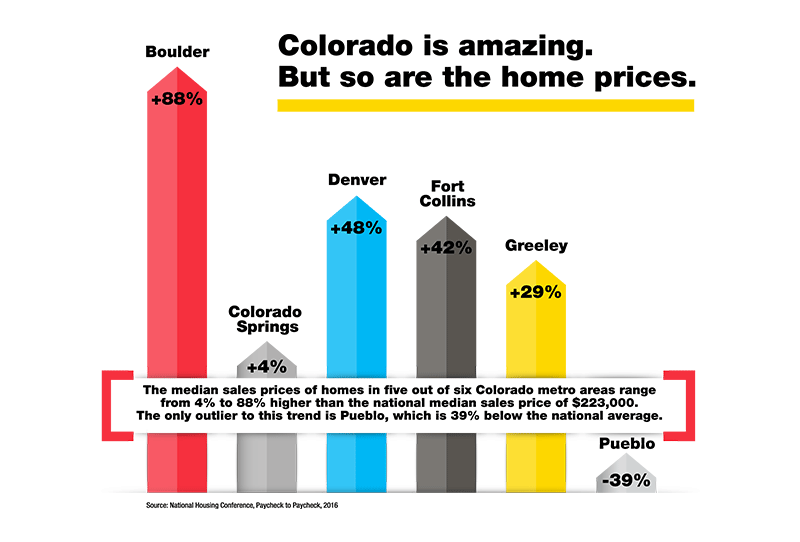 Click here to view the Colorado report on the National Housing Conference’s website. 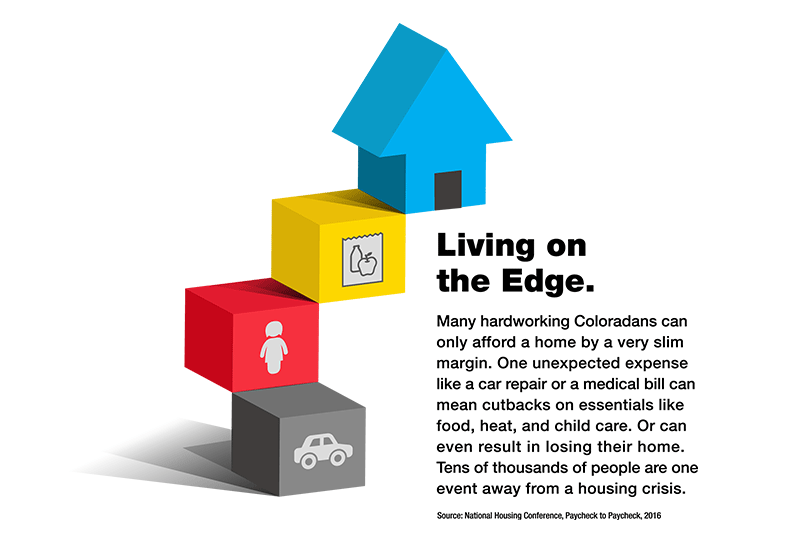 Click here for the National Housing Conference’s full federal report. 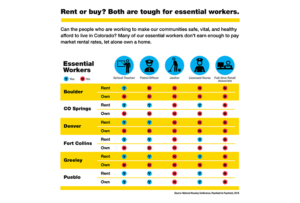 Feel free to use our graphics below to promote affordability; we just ask that you link back or write a credit to liveaffordablycolorado.org. 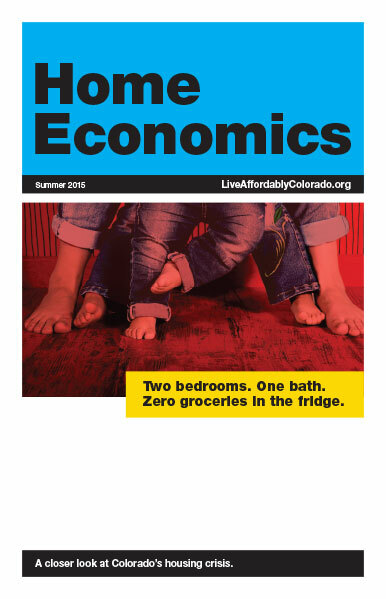 This was the initial research put together at the launch of the Live Affordably campaign. 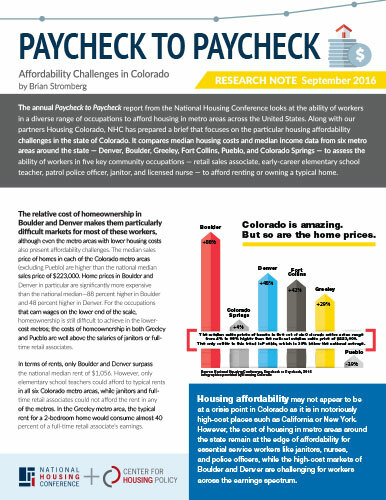 In this edition, we explored housing challenges across the state, real-life success stories from affordable housing residents, our current funding resources and ways you can make a difference.